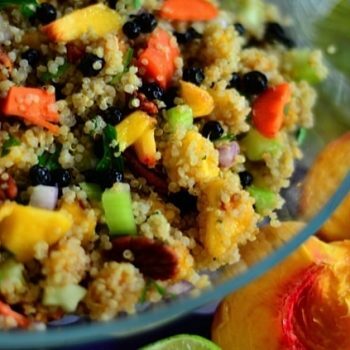 This Oregold Peaches Quinoa Salad is a delicious salad for any spring or summer party, or a great potluck dish! Double the recipe, because it goes fast! I always love an orchard tour, especially when you see the luscious fruit just hanging there, ripe and ready for picking. I recently toured the Harry & David’s Royal Crest Orchard with Matt Borman, Director of Orchards, just as the Oregold Peaches were hanging on the trees, ready for picking. So pretty! I get giddy when I walk through an orchard, when the fruit is ripe, because I know what comes next! Check out the video below – because this may just become your new favorite summer salad! 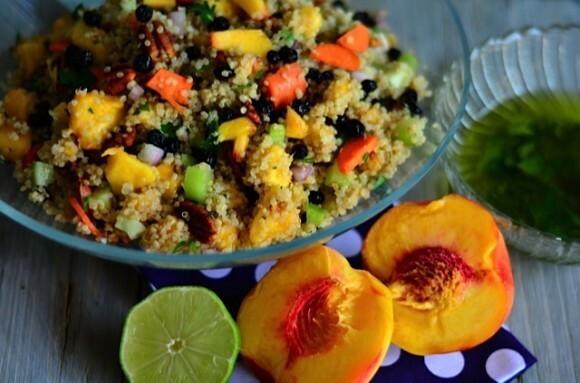 Not only does our family enjoy cobbler, peach jam, and the many peach desserts (shortcake, galette, pavlova, homemade ice cream), this time we experimented with a delicious Oregold Peaches Quinoa Salad. We’ve also made salsa, chutney, bruschetta, and bean dips with Oregold Peaches. -Harvesting these quality peaches goes from late July to late August, which means we’re in the prime harvesting time right now! 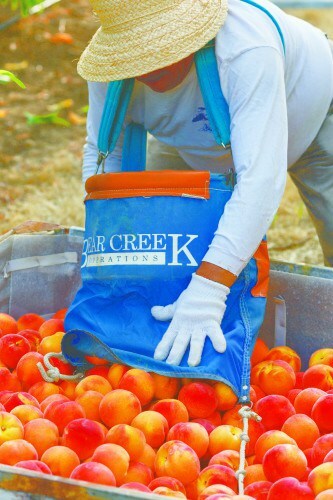 -There are 42 harvesters on 55 acres, solely working on peaches. 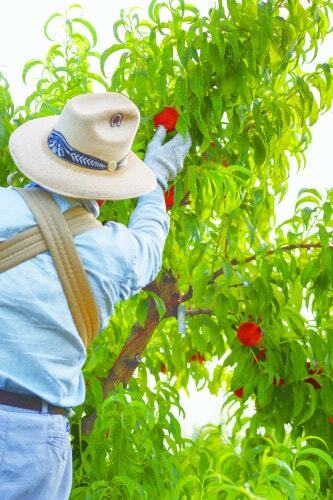 -Each peach is hand-picked once the color and size is perfect. -Their harvest crews have to pass a color blind test so they can distinguish the right color of yellow and not green. -During the day, fruit is tested for sugar and maturity in the field to make sure theharvesters are picking only the ripest fruit. -The harvesters will harvest over 400 tons of fruit before the peach season is over, which translates to around 400,000 pieces of fruit. That’s a lot of peaches. And I’m happy I live here in the Rogue Valley, because we get to eat peaches every day all day! 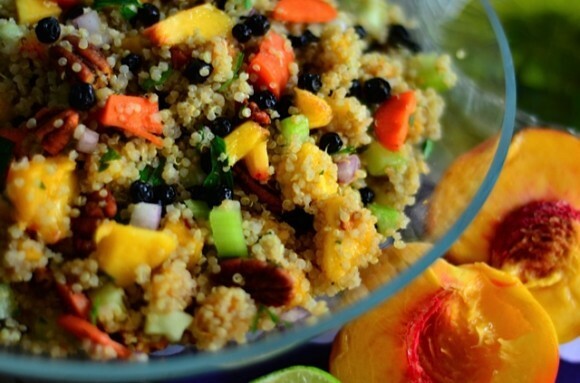 Our family was barbecuing last week and I whipped up this simple quinoa salad. 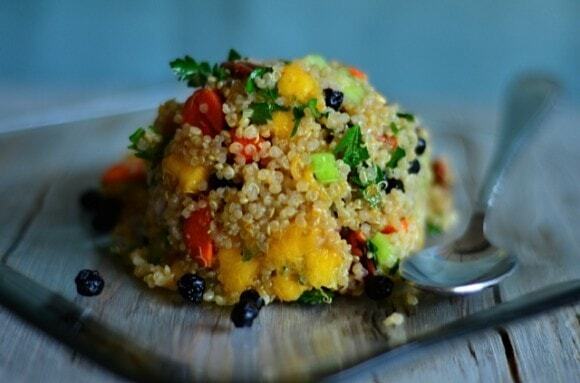 We’ve been cooking with quinoa for years. 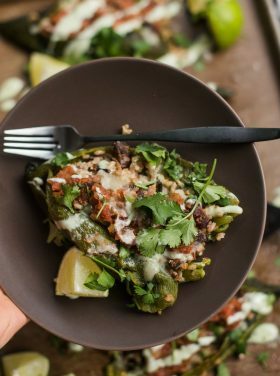 I cook it in bulk in our rice cooker and store in the fridge so we have it available for salads, eggs (our boys love to add to their scrambled eggs), and Mexican dishes. It’s a lovely grain, so subtle, yet so full of many options in how to cook with it. 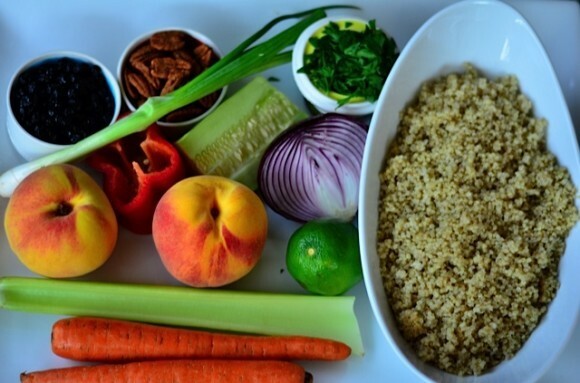 My friend, Ali, from Gimme Some Oven, has a great tutorial on how to cook quinoa, if you’re not familiar with it. Similar to this recipe, where I used currants, this time I’m using dried blueberries and fresh Oregold Peaches. 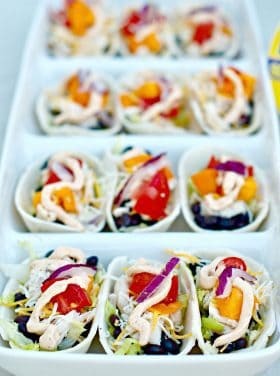 A summer salad for entertaining can’t get any easier, fresher, and crowd-friendly. And who doesn’t love a fresh peach? What’s your favorite way to cook with a peach, other than just eating it fresh? Mix the first 5 ingredients in a bowl; set aside. Add the other ingredients together in a larger bowl. Mix in the dressing. Garnish with parsley. Serve. This post is sponsored by Harry & David; but as always, all opinions are my own. Sandy – Should I combine everything to let the flavours marry, or hold the dressing until just before serving? I’m making this today. Thanks! Either way! It’s fabulous both ways! I love peaches! How fun to be able to tour Harry and David’s orchard! Oh, how I love me some Oregold peaches!! This quinoa sounds amazing, Sandy. 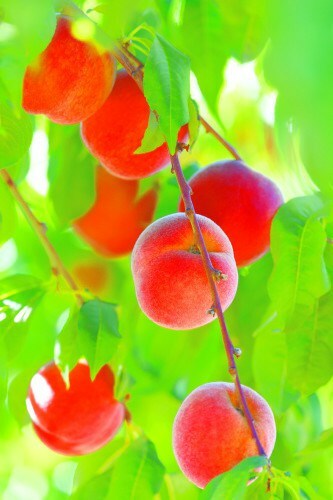 Lucky for me, I have some perfectly ripe peaches waiting for me! Those peaches are beautiful! And the salad looks yummy too. That’s SO interesting about the workers having to pass a color blindness test – I never thought about that being an issue, but it makes sense! And this salad?! ANYTHING with peaches I’m all over! 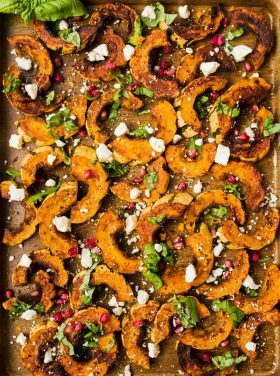 Love, love this salad. What a great way to spend the day, learning about where our fruit comes from!! I cannot wait for my orchard tour! This salad sounds amazing. Truly, right up my alley! Looks great, Sandy. Peaches are pretty phenomenal.